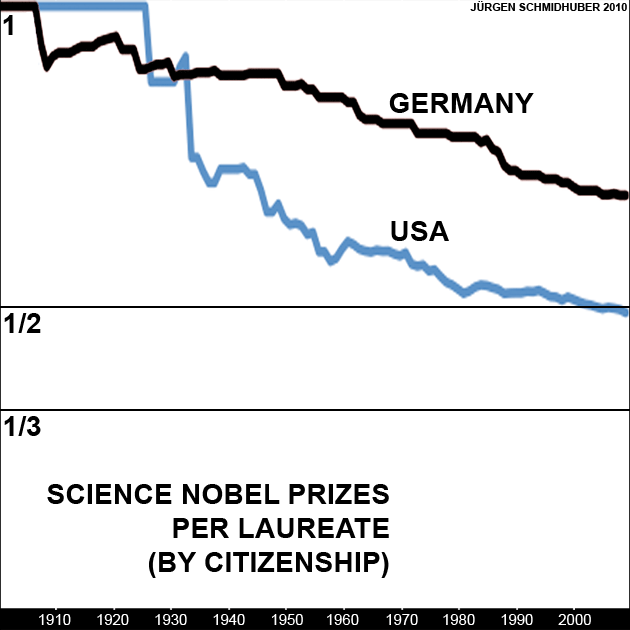 Figure 17: Science Nobel Prizes per science laureate by citizenship 1901-2009: In the beginning of the century most laureates got a full prize; in the end most got just a fraction thereof. That's why Germany's mostly older laureates on average got larger shares than the mostly younger ones of the US. From Evolution of National Nobel Prize Shares in the 20th Century, Jürgen Schmidhuber, 2010. PDF. HTML.